This is a story about a lot of things—creativity, ambition, success and conflict—but in the end it really all comes down to one irreducible principal. It’s a story about friendship, and what can happen when it’s tested. The band Yes has been a lot of things over the years—psychedelic folk rockers, ambitious progressive rock pioneers, determined arena-rock hit-makers, and many shades in between. For those who’ve followed them closely over the years—a particularly stubborn and opinionated tribe of fans, wont to turn on both the band and each other at any moment—they are also something more. Through their early ’70s work, Yes came to represent to their most devoted fans a sort of musical ideal; a band whose ambitions transcended genre boundaries to create virtual rock and roll symphonies. Those early triumphs forged a unique bond of faith and loyalty with their fan base that has endured through decade after decade of musical and personnel shifts, the likes of which would make the writers of any soap opera shake their head: “Nope, can’t use that—too unrealistic.” But it happened, all of it—16 members, 20 studio albums, untold tours and twists and turns, reaching up to today, a moment when the band finds itself once again mired in angst and controversy. The perpetual drama surrounding Yes, combined with the extreme loyalty/frustration of their fans has made for an increasingly volatile relationship between the two. Today, even as the band is playing the biggest venues they’ve played in years, behind their first studio album in almost a decade, a substantial portion of their fan base is raging at them across the Internet, tearing into them on sites like yesfans.com and progressiveears.org and leading the band to turn their own official site at yesworld.com into a virtual fortress, cut off from any direct input from outside. The band’s beginnings trace back to a London nightclub where Jon Anderson and Chris Squire first met and began plotting a musical path forward in 1968. The band has been through enough arrivals and departures since then to rival Heathrow or O’Hare, but its origins lie in that singular connection—Anderson and Squire, lead and harmony, high end and low, bandmates and friends, in many ways the mismatched godfathers of the genre that became known as progressive rock. Now flash forward 28 years and several musical identities, to the 1995-96 return of the “classic” era 1970s Yes lineup of Anderson (vocals), Squire (bass/vocals), Steve Howe (guitars), Rick Wakeman (keys) and Alan White (drums). Initially hailed by fans as a new golden age, the dream of ’95-’96 never quite panned out, other than a handful of studio tracks recorded for the Keys To Ascension albums and the wonderful 2003-04 tours. The rest of the ensuing decade and a half has been consumed with all-too-familiar internal politics and attempts to work around the absence of one or more of those core five. By the end of 2004, Anderson, at that point 60 years old, was exhausted from a heavy touring schedule and demanded a break. The 55-year-old Wakeman expressed similar reluctance to risk his health with further large-scale, five-shows-a-week tours. The others reportedly wanted to keep going, keep touring, keep pushing. In any case, as a year’s break stretched into three, tensions mounted. By spring 2008, Anderson was finally ready to tour again, although in the meantime, Wakeman had formally bowed out and recommended his son Oliver to take his place. Soon after that change was made, and with touring plans set, Anderson went through a series of health crises, including an asthma attack so severe he was clinically dead for a time. Hospital stays and multiple operations followed. Once again, Yes was in limbo. Taking a cue from Judas Priest and Journey, Squire and company hired Benoit David, lead vocalist in a Yes tribute band, to be their touring vocalist. 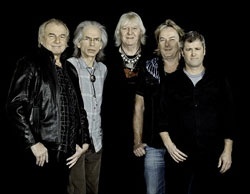 At the time they maintained it was temporary, until Anderson’s health improved, but as grievances were aired and touring proceeded, positions hardened, with Squire announcing in October 2009 that “this is now Yes,” meaning himself, Howe, White, David and Oliver Wakeman. 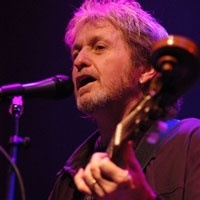 In the meantime, Anderson continued to recover, mounted a solo tour, and worked on solo projects including a collaboration with fellow Yes outcast Rick Wakeman. Today, Anderson is touring steadily, just released a new solo disc, and is said to be working on a new project involving both Wakeman and ’80s-era Yes guitarist Trevor Rabin. Oliver Wakeman’s unceremonious ouster aside, the crux of the issue for longtime fans of the group remains the decision to forge onward without Anderson. There are two sides to every story, of course. Howe, Squire and White clearly wanted to keep Yes a going concern and were frustrated by Anderson’s unwillingness and then inability to participate. They’re working musicians; they both wanted and presumably needed to keep playing, and Yes belongs to the three of them just as much as it does to Anderson or Wakeman. Anderson’s reluctance to tour or record during the three years prior to his health crisis was frustrating for everyone, fans included. In sum, the decision that Squire et al made in 2008 to tour with a substitute singer is one they had every right to make—which nonetheless does not make it the right thing to do. There’s a saying in the American military: leave no one behind. You don’t abandon a fellow soldier on the battlefield, especially if he’s wounded. Reducing Yes to a cold-blooded business proposition as Squire et al did when they replaced Anderson was an insult to the loyal fans who have kept the band relevant for decades past their creative prime. For the longtime fan, though, that isn’t even the worst of it. The worst part is that by replacing Anderson while he was seriously ill, and without even having the courage and integrity to talk to him directly about it, they once and for all exposed themselves, these musical giants we once naively admired, as mere flesh and blood, deeply flawed human beings capable of stunning selfishness. There’s another old saying that goes like this: character is what you do when no one else is looking. In a similar vein, friendship isn’t about what you do when everything’s free and easy; it’s about what you do when things get really tough. Do you stand by your friend, or do you walk away? “I believe you find out who your friends are when you get sick,” said Anderson in a recent interview published by UltimateClassicRock.com. Indeed. It all comes down to this: after working together for the better part of 40 years, when Jon Anderson needed his friends the most, they turned their backs and walked away. Time marches ever onward. Today Anderson is 67 years old, still touring and singing, and for all his quirks and human frailties, still a vital musical force. As a longtime fan of the group, I would love to see both Anderson and Rick Wakeman work with Yes again before it’s too late. At the same time, I honestly hope Anderson refuses to do it unless and until he receives a heartfelt apology from his former bandmates. They owe him that, and thousands of angry fans know it.